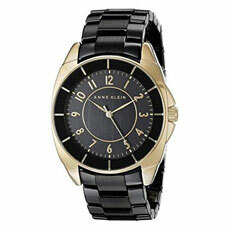 For the fuss free, on-point kind of woman, this seriously stylish Anne Klein watch is for you. 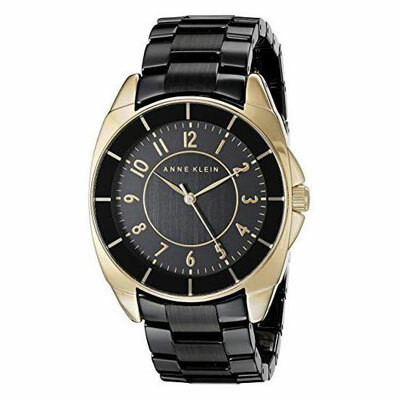 The sleek black dial and bracelet, accentuated with well appointed gold tone accents, present a commanding and sophisticated look. Gold tone Arabic numerals and hands make telling time easy and chic.